B.Sc. - R.K.M. Vivekananda College. Schooling – St. Mary\\\\\\\'s Higher Secondary School. Over 20 Years of Direct Marketing - Concept Selling. Sold 3 Grounds of Industrial Land at SIDCO Industrial Estate, Ekkattuthangal to M/s.Nerelge Corporation. Leased 2400 Sqft of Independent commercial building at Dr.Subburaya Avenue, Teynampet to M/s.Noah Data Technologies. Leased 3000 Sqft of Independent Commercial building at Krishnambal Street, T.Nagar to M/s.Wizcraft International Entertainment Pvt Ltd. 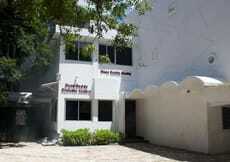 Leased 2000 Sqft of Office space at Seethakadhi Building, Annasalai to M/s. J.M Finanacial Limited. Leased 5000 Sqft of Independent Commercial building at Thirumurthy Nagar, Nungambakkam to M/s.Zari Designer. Wide Networking with Friends & Relatives. Reading Books, Listening to Music & Traveling.